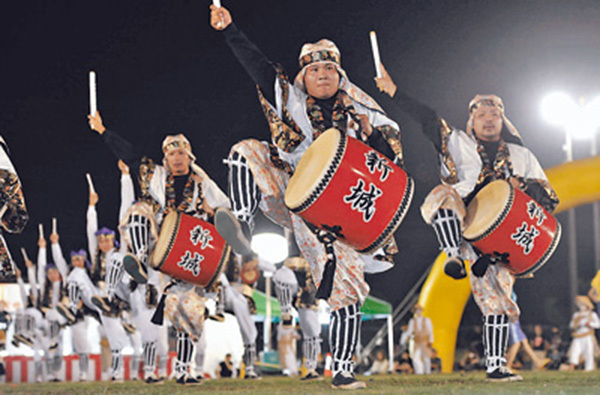 Every year, as the Obon holidays approach, the sound of large barrel and hand drums echoes throughout the island toward evening, creating an atmosphere peculiar to Okinawa’s summer. 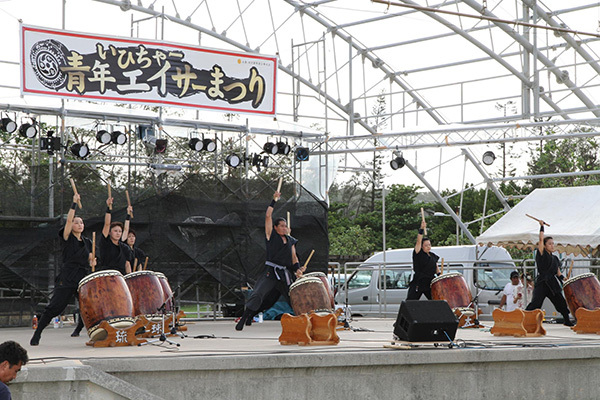 The sound is produced by local eisa teams practicing and preparing for the Obon holidays, when the dance is traditionally performed to bid farewell to the ancestors’ spirits, and for small and large eisa events held around Okinawa from July throughout August. Small, community-based eisa events, which oftentimes are held by closing the main street in the locality to traffic, offer you the opportunity to see exciting dance performances up close and personal. 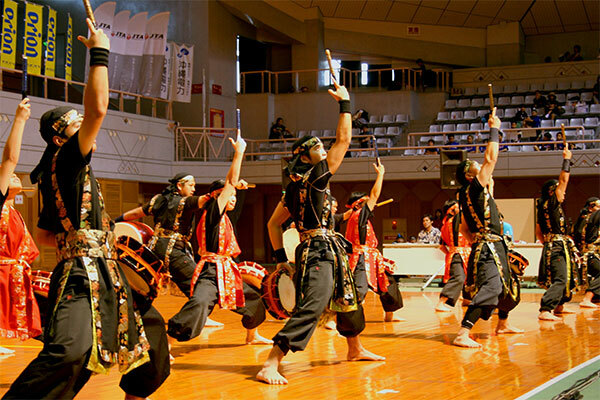 On the other hand, larger eisa festivals feature a program packed with entertainment, myriad food stalls and fireworks shows, besides a variety of different eisa performances. There is a tradition known as michi-junee, where local youth eisa teams, generally comprising young men and women under 25 years of age, travel through residential streets dancing eisa in the evening during the Obon holidays. 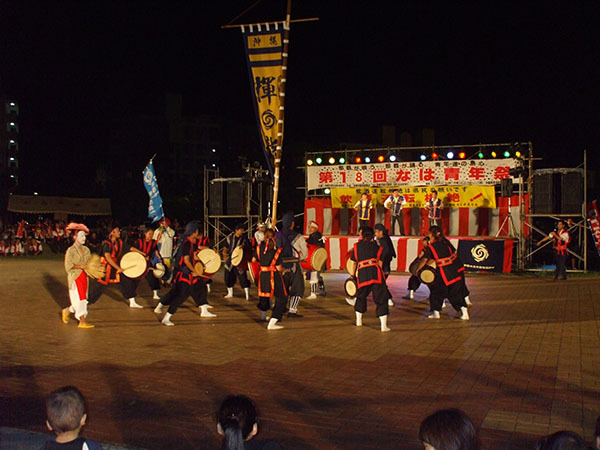 Michi-junee is held various places around the island, but those in Okinawa City, Yomitan Village and Heshikiya in Uruma City are particularly popular and draw a number of spectators, including local Okinawans as well as tourists from mainland Japan. 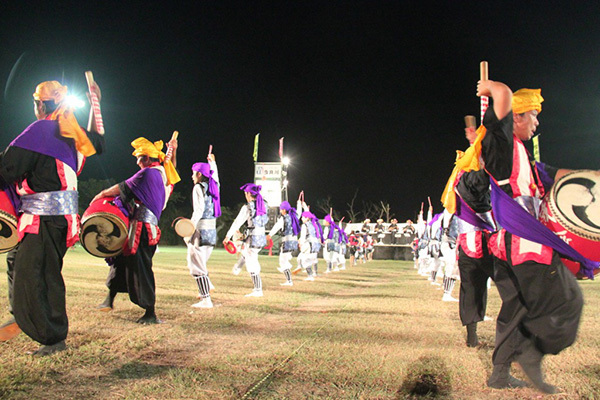 Visit Okinawan eisa festivals and experience the distinctive atmosphere full of vitality and energy for yourself! Date: Sunday, Oct. 12, 2014 *Subject to change. Time: 12:00-21:00 *Subject to change.